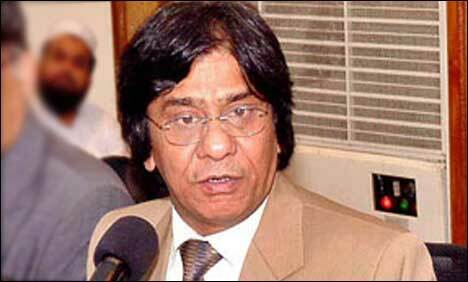 Sindh Minister for Industry and Commerce Rauf Siddiqui on Friday tendered his resignation over the recent factory fire that claimed 258 lives in Karachi. Speaking to media representatives in Karachi, the provincial minister and Muttahida Qaumi Movement (MQM) announced that he had tendered his resignation. Siddiqui said he had dispatched his resignation to Sindh Governor Ishratul Ebad and Sindh Chief Minister Syed Qaim Ali Shah. The MQM minister has demanded that all those responsible for the tragic incident should be brought to justice. On Thursday, rescue workers at the gutted factory wrapped up their operation after battling the deadly fire for almost 45 hours. Good move, setting up an example for other. Well said and his boss sitting in London did not like Dr Imran Farooq going solo politically and the rest is history. Poor Imran Farooq he is no more. good atleast he has resigned, now you may get some time to get a hair cut! but does it mean that he can be minister of another department now? then this resignation will be of no use! Resignation is not the proper solution, has Government decided to inspect "Safety & Security Measure" at all such factories?? There are concern department & authorities but most of the employees are ghost, they do not bother to inspect such important things. They do nothing but take salaries & other fringe benefits out of our taxes also they make money if they inspect the factories & found some thing out of order!!!! It is just a huge deadly inferno for each entire Sindh Government all ministers should have resigned immediately.I am sure this is result of Extortion money demanded by the only Bhatta Mafia created and patronized By Altaf Mohajir alias AlCabone of Chicago. the object of resignation is always to submit one for an impartial investigation …. Good Job …… i Like ….